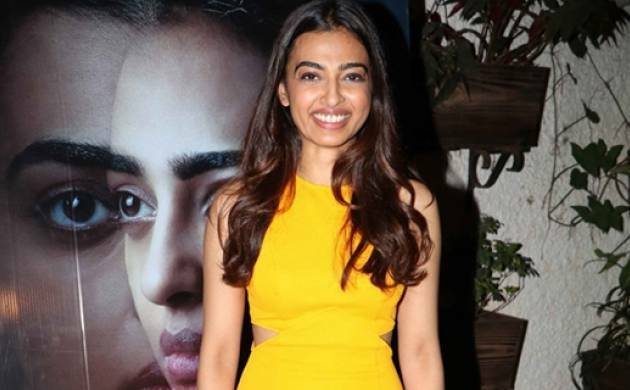 Actress Radhika Apte finds the conventional notion of beauty dull and for her looking beautiful is about the emotions one can convey through their face. The 30-year-old “Phobia” actress said the connect one shares with another person is what makes people beautiful. “The conventional idea of beauty is so boring. I find all my friends very beautiful. A face is beautiful when you can relate to it or when you can see the emotion through the face. If there is a connection then you will find a person beautiful. That connect is most beautiful for me,” Apte told PTI. However, she feels being an actress does bring certain amount of pressure to look presentable and she is okay with following that trend. “There is a pressure on actresses to look in a certain way. Like when I have to go out for promotion or interviews, I have to choose designer wear. I am following that. “There are certain expectations from actresses and I am doing that. But in personal life, I am a pajama person. I never wear make up,” she said. Apte will be seen sharing screen space with superstar Rajinikanth in his next “Kabali,” and the actress said working with him was one of her best experiences. “Working with Rajini sir has been one of my favourite experiences. He is one of my favourite actors because he is so big. You can’t get bigger than him. He is so humble, hardworking. He doesn’t have any air around him. He is so simple and inspiring,” she said. The “Badlapur” actress said she was not worried about being in a same frame as the Southern superstar. “I wasn’t nervous at all about working with him. He makes his co-stars so comfortable. And sometimes when you feel so much request for somebody, you will not be nervous around them because it’s beyond that,” Apte said. Directed by P Ranjith, “Kabali” also stars Kishore, Kalaiyarasan, Dhansika, and Dinesh Ravi.